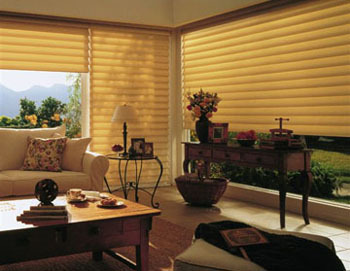 At Dolan Window Coverings we offer a fantastic selection of products to dress any window on any budget. 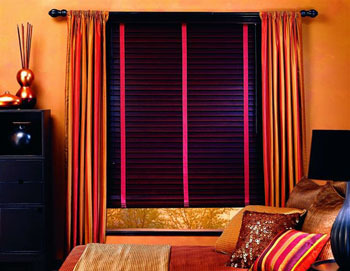 The following are some of the most exciting and desirable window treatments available today. Automation has been around for a while, but Automation that’s virtually silent is new. Now you can order window coverings with ultra-quiet operation utilizing noise reduction technology from Somfy. Make a statement with the beauty of real wood, a renewable resource. 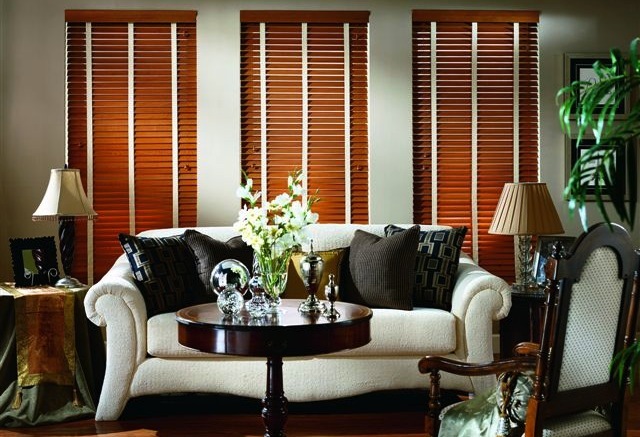 Crafted from the finest hardwoods and finished with TopSheild II, an exclusive coating for greater durability, Country Woods blinds are ideal for homeowners upgrading and looking to make a wise investment. To make a grand statement… you need a grand shutter, that’s why we’re pleased to introduce the new 4 1/2″ Poly Satin Shutter from Shade-O-Matic. 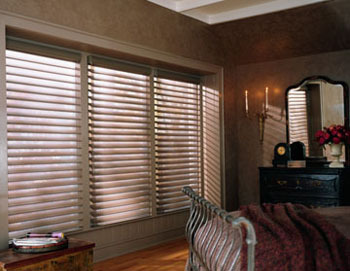 This shutter combines all of the fabulous features and quality that have made The 2 3/8″ and 3 3/8″ Poly Satin line famous for years. Custom-made sheers and draperies, very popular for dressing windows in that elegant room in your home, come in many colours, styles and fabrics that are made to perfection in our studio. Designer Screen Shades are an innovative combination of sheer beauty and functional technology offering visibility of the outdoors while protecting valuable furnishings from harmful UV rays indoors. 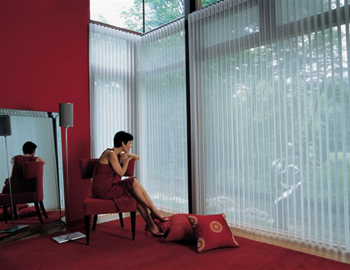 Offered in both Roman shade and window shade styles, with a multitude of options and an opacity range from very sheer to semi-sheer, the fabrics in the Designer Screen collection enhance your dŽcor while allowing you to enjoy your surroundings. 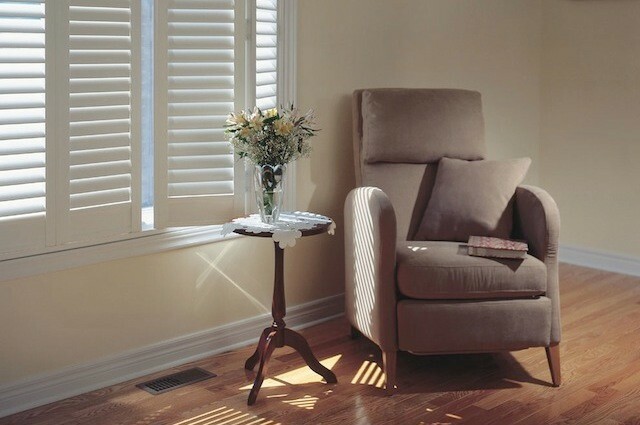 Hunter Douglas’ Alouette® LightLouvers combine the architectural beauty of a wood shutter, the soft fabric finish of a shade and the light control and privacy features of a traditional blind. 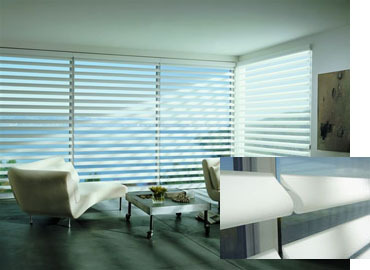 The elliptical-shaped fabric louvers filter and soften incoming light. When opened, the view through is crystal clear. When closed, privacy is complete. The Fabric-Covered Valance option provides a traditional look to this contemporary product. The popular brand that originated the honeycomb shade category, Hunter Douglas’ Duette® honeycomb shades come in sheer, semi-sheer, semi-opaque and opaque fabrics to give you a choice in light control. Distinguished by a crisp, clean style, the honeycomb construction of these soft, yet durable Duette shades-available in single, double and triple honeycombs-make them highly energy efficient. 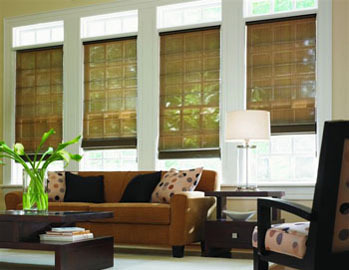 The latest innovation from Hunter Douglas is Architella™ honeycomb shades. 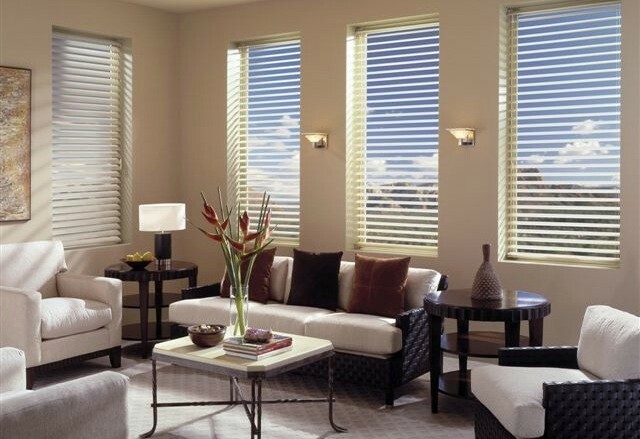 Offering greater energy efficiency, greater sound absorption and a radiant color palette, Architella is the next generation of honeycomb shades to enhance your home. 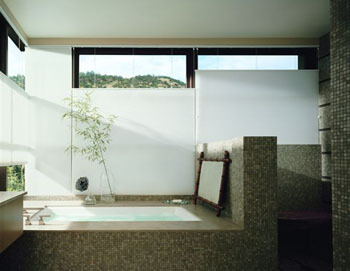 Luminette® Privacy Sheers from Hunter Douglas marry the beauty of sheers with the privacy of soft draperies. Featuring translucent fabric facings and soft fabric vanes that rotate for infinite degrees of light control and privacy, these custom window sheers are especially suited for entire walls of windows or French doors. The new Quintette™ 4 3/4″ vane size featuring Portico fabric joins our classic 3 1/2″ vane size to give you the choice of two distinct looks and two levels of view-through.